Strong HairPro Deep Scalp Hair Therapy Serum- Powered by exceptional ingredient complexes, including: Capixyl™, Keravis™, Redensyl™ and Procapil™ this potent serum applies the Strong HairPro treatment in deep into the scalp and follicles as it nourishes, thin/thinning or weakened hair to help boost the hair’s strength, thickness and overall volume. Hair is left, fuller, shinier and with a healthy looking radiance. 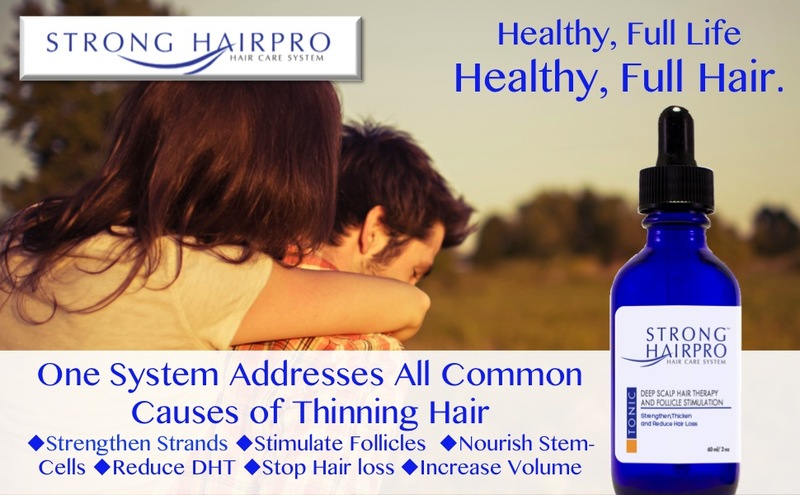 Strong HairPro is also an excellent complement to anti-hair loss treatments. • ProCapil - a natural blend that fights the hair follicle aging process, strengthening hair from the root and preventing hair loss. 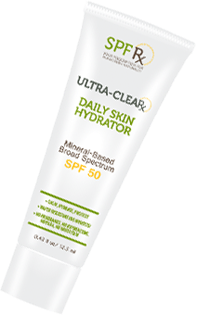 It targets the primary causes of alopecia, which is DHT. • Capixyl - a biomimetic peptide that reduces DHT buildup in the follicle - the main cause of hair loss. • Keravis - a multifaceted protein-based complex which acts on all of the three fundamental parameters of hair strength: tensile properties, bending modulus and cuticle abrasion. • Redensyl - targeting the hair follicle stem cells to reactivate their division and stimulate their initiation of the anagen phase (to stimulate your own scalp's natural hair growth function Biotin - One of the B complex vitamins that help the body convert food into energy, biotin help keep your skin and hair healthy. Now also features the volume technology CE-1874 Microemulsion, clinically shown to increase volume, protect color and repair damaged hair. 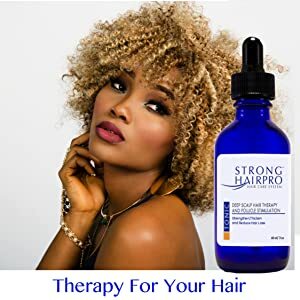 A great alternative and more natural approach to stimulating hair growth with a proprietary blend of nutrients, peptides, vitamins, phytelene complex, and herbal extracts in a Paraben-Free, Sulfate- Free formula. Made in the USA in an FDA, GMP compliant facility. The most common form of hair loss is called “androgenetic alopecia”. It is an issue for 50% of all men by the age 50 years. 25% of all men will start experiencing hair loss by the age of 21. It is also a significant Issue for women. Post pregnant women commonly experience hair loss as well. Whether you are young or more “Life experienced”, all man or 100% woman, feeling good about your hair is key to your confidence. 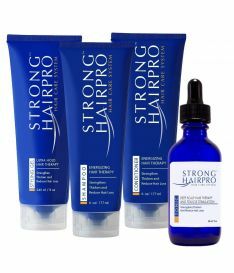 Strong HairPro’s goal is to restore that confidence for every man and woman who’s genetics or environment is trying to dictate otherwise. 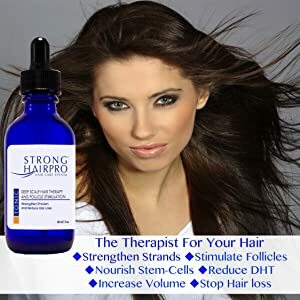 Together the Strong HairPro products do what no other hair therapy system does because they deliver a more comprehensive set of proven actives, hair nutrients, and scalp health support ingredients in multiple waves as you use the system together as directed. That is why Strong HairPro is an exciting new system that is rapidly proving to be the future of topical hair therapy. Quite simply, it is the natural choice for hair therapy. On dry or towel dried hair, using the pipette, apply a few drops at a time directly onto the scalp. Thoroughly massage the serum into the scalp & roots using your fingertips to evenly distribute the product. Based on your hair type, the number of drops can vary from 3 to 5. Once massaged into the scalp, style as usual. Easy to use - just place 2-3 drops into the problem area of the hair and scalp daily. 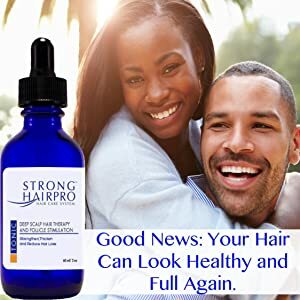 This Strong HairPro System of products are the ONLY products in the world that have this potent combination of healthy hair and scalp energizing technologies combined. You can find products that feature the Redensyl technology. You can find others that have Phyetelene, and still others that feature Capixyl or ProCapil. But only in Strong HairPro, will you be able to benefit from all of these technologies with one set of products for one low price. That is because of the relationship that Cal Pharma (the maker of Strong HairPro) has with each of these technology investors, enabling an amazing product like Strong HairPro to be made. You will see quick results that will leave you and your hair happy. Perfect for all hair types looking for strength, volume, damage repair, and renewal.